﻿ Python and big data have to process with each other? Python is in immense demand in the field of big data, why? 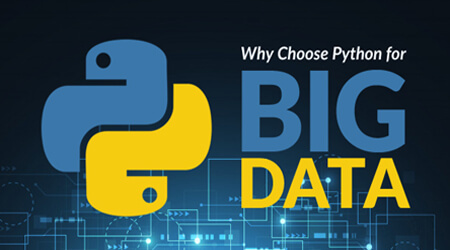 The combination of python and big data fits perfectly for data analytics. It is all because python has right tools for free like libraries and frameworks. Python is an open source programming language developed using community-based model. It is flexible to run on different environments like Windows and Linux. In addition, it is robust in nature, i.e. it is transportable to different platforms. Pandas: used for data analyzing and manipulation. NumPy: library used for manipulating large multi-dimensional arrays for arbitrary data. SciPy: used for scientific and technical computing including various modules for optimization. Scikit-learn: data processing package with built-in operations like clustering, regression, preprocessing etc. 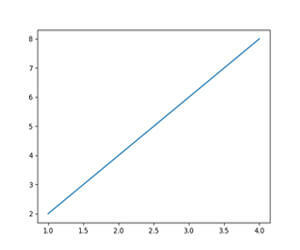 Matplotlib: It’s a library that helps in 2D plotting of data. Matplotlib enables generating to create bar charts, histograms, error charts, power spectra, scatter plots, and more. Python is a user friendly, easy to learn language because it has fewer lines of code. Python integrates simple syntax, code readability, scripting features, auto identification and association of datatypes. Python can accelerate code development because it is a high-level language. It enables prototyping which results in fast coding while maintaining transparency between code and its execution. As you have seen python and big data are compatible with each other, similarly Hadoop and python also work together with big data. Python has its own PyDoop package which helps in accessing HDFS API’s. It also helps in programming MapReduce which helps to solve complex problems with minimal effort. Python has updated and improved its offerings in data visualization. With such massive amount of data been processed, the right way to shape the data is important for the company. Collecting huge stack of data and finding a trend in it makes analysts each to comprehend the data efficiently and eliminate problems.